High Power Surface Station, 70 watts. Includes battery, charger, hand held mic. and transducer. 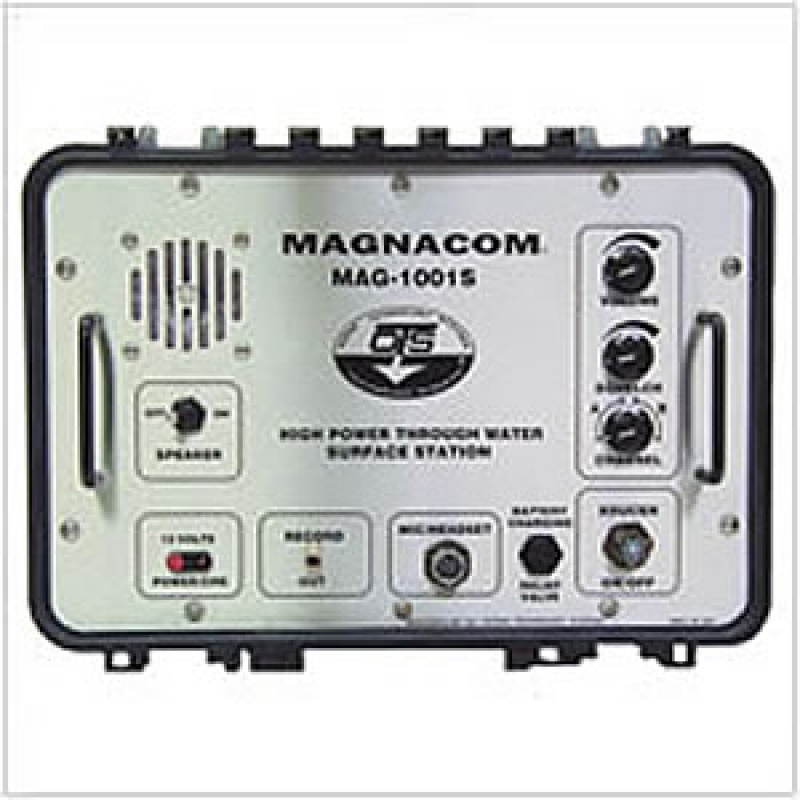 The Magnacom® MAG-1001S surface station is a state-of-the art 70-watt, dual-channel single sideband surface station designed to meet the demanding needs of the military. The Magnacom® MAG-1001S comes in a heavy duty housing and has many useful features including: record-out jack, front panel adjustable squelch and volume control, and hand-held microphone. It also comes standard with battery, battery charger, and transducer. Use RB-6V recharageable batteries only; no alkaline.